Oh hey. I did a thing. 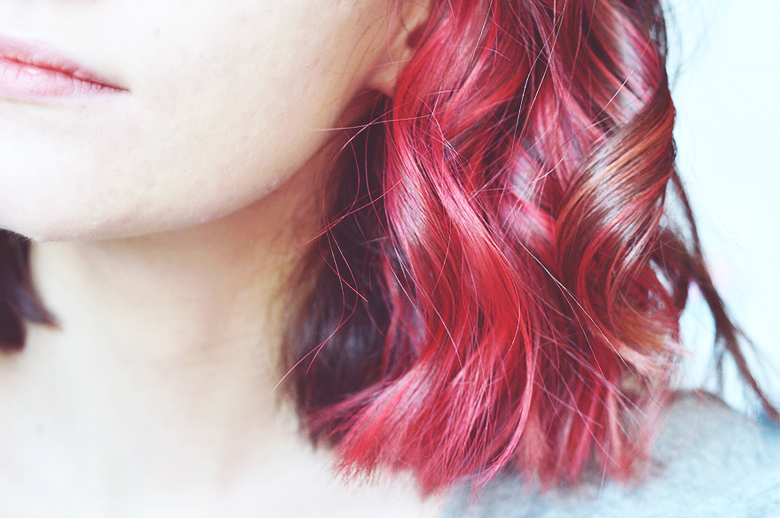 I love coloured hair, it's so freakin' cool. Anytime I see someone with an unnatural hair colour I stare at them an inappropriate amount just because I'm jealous and love it and want it, too. 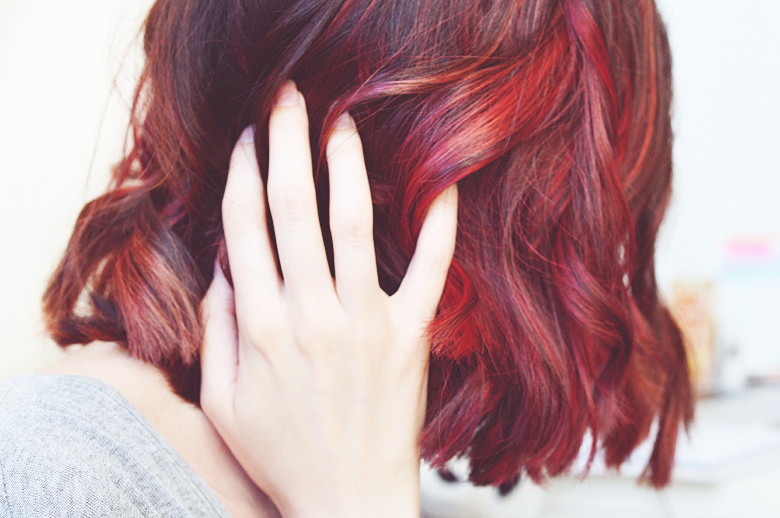 I have been wanting to do something crazy with my hair for months and months now, but wasn't sure exactly what. I'm not brave enough to bleach my whole head in one go so thought perhaps a dip dye might be a good idea or highlights of some kind. It wasn't until I stumbled across Irene Kim on Instagram and fell in love with her hair that I was like "yep, this is happening!" and booked an appointment. Because my hair hasn't been dyed in about 2 years now and has been repeatedly cut short my hair was in really good condition and it was a quick and easy process to lighten it, my hairdresser did foils in thick layers - initially I freaked out as I did just want it dip dyed fully - but I quite like the slightly more subtle effect that I've got this way to dip my toes in the water! 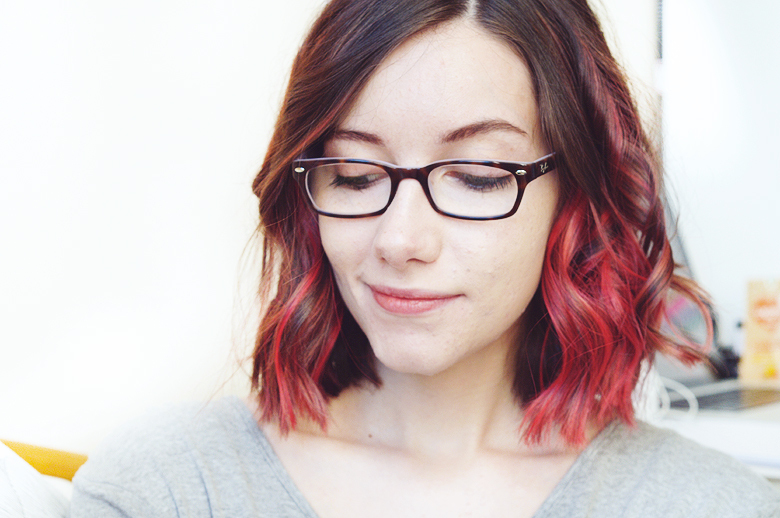 I think once the lightened areas have grown out a couple of inches I'll go for the full dip dye effect. The toner was then applied and bam, pink! 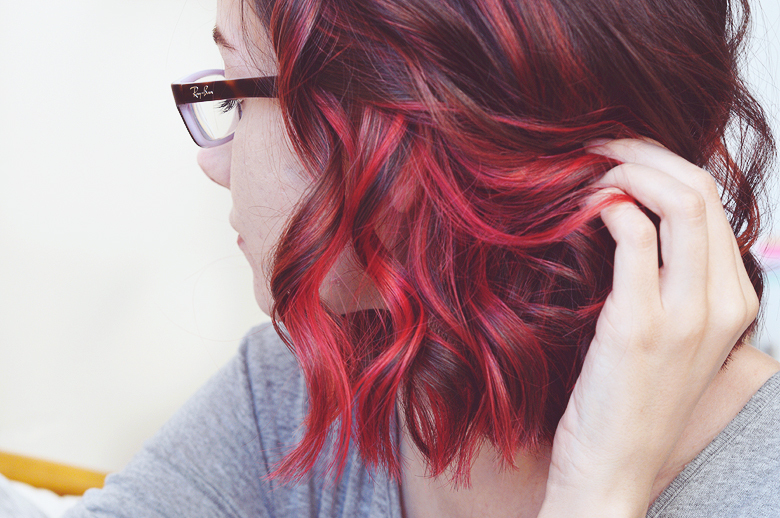 The colour was a custom mix of a purple and a bright cherry red and it should fade nicely to a pastel pink. I hope. I've washed it once so far and the colour didn't run all that much so it will hopefully last quite a while before I need to have it topped up.